This morning I took the early flight to Dublin, which was on time, and thence via the Airport Hopper to Maynooth. There were only two passengers on the bus, both going to the terminus, so it made good time, travelling all the way along the motorway. Walking into the Maynooth campus I remembered an interesting little historical fact that I stumbled across last week, concerning Éamon de Valera, founder of Fianna Fáil (one of the two largest political parties in Ireland) and architect of the Irish constitution. De Valera (nickname `Dev’) is an enigmatic figure, who was a Commandant in the Irish Republican Army during the 1916 Easter Rising, but despite being captured he somehow evaded execution by the British. He subsequently became Taoiseach (Prime Minister) and then President (Head of State) of the Irish Republic. 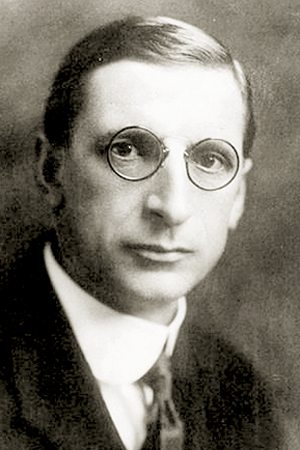 Eamon de Valera, photographed sometime during the 1920s. The point of connection with Maynooth, however, is less about Dev’s political career than his educational background: he was a mathematics graduate, and for a short time (1912-13) he was Head of the Department of Mathematics and Mathematical Physics at St Patrick’s College, Maynooth, which was then a recognised college of the National University of Ireland. The Department became incorporated in Maynooth University, when it was created in 1997. It is said that one of the spare gowns available to be borrowed by staff for graduation ceremonies belonged to de Valera. 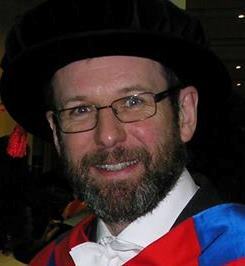 Mathematical Physics is no longer a part of the Mathematics Department at Maynooth, having become a Department in its own right and it recently changed its name to the Department of Theoretical Physics. De Valera missed out on a Professorship in Mathematical Physics at University College Cork in 1913. He joined the the Irish Volunteers, when it was established the same year. And the rest is history. I wonder how differently things would have turned out had he got the job in Cork? That’s one connection, but when I arrived in the office this morning I found another. An email had arrived announcing a conference later this year in honour of Erwin Schrödinger. It was de Valera – a notable advocate for science – who in 1940 set up the Dublin Institute for Advanced Studies (DIAS); Schrödinger became the first Director of the School of Theoretical Physics, one of the three Schools in DIAS.